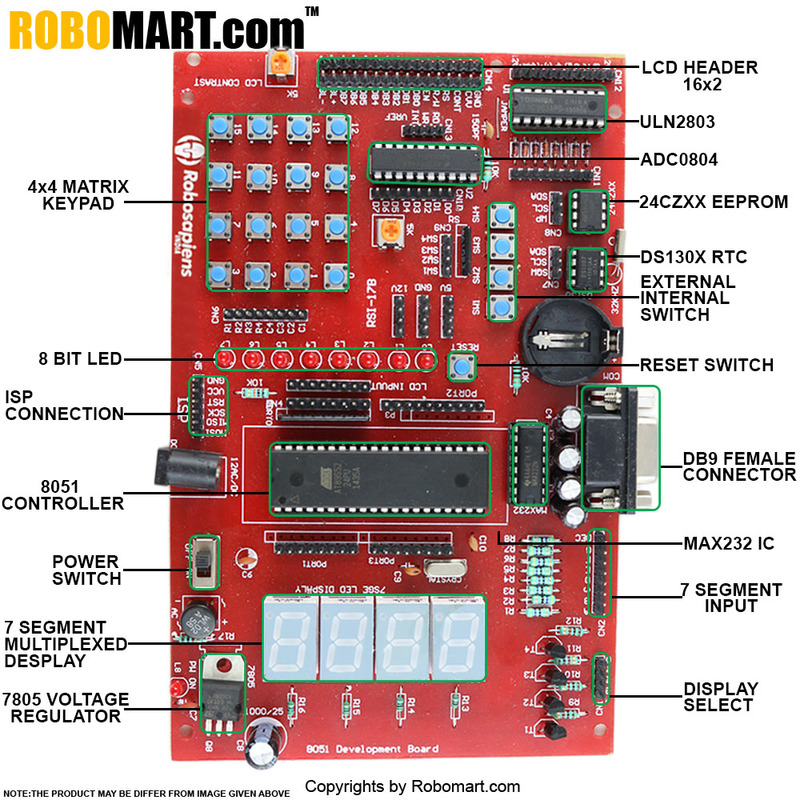 The 8051 Development Board kit is based on our 40 pin development board which is compatible with other Atmel AT89Sxx microcontrollers. 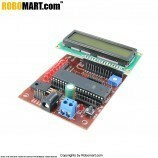 This kit is an easy and low cost way to get started with microcontrollers. Onboard 3 way power supply. Onboard 7805 voltage regulator IC. Onboard 7 Segment multiplexed display. Onboard ULN 2803 driver IC. Onboard DS130X RTC IC Base. Onboard external & internal switch. 1 x 8 Pin Female to Female Jumper Wire. 1 x 4 Pin Female to Female Jumper Wire. 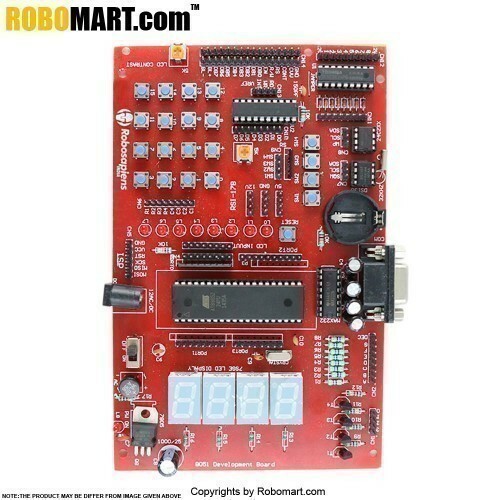 Also Searched as : 8051 microcontroller development board price, 8051 microcontroller development board, 8051 microcontroller development board india, 8051 microcontroller kit price india, 8051 microcontroller board, buy arduino leonardo india, 8051 microcontroller board price in india.